The first time I met a Vitamix someone introduced it to me as “The Porsche of Blenders.” I thought that was funny because the very same day I also met “the Cadillac of can openers.” That was a lot of car metaphors for one day. In my opinion, this type of blender is more like a workhorse with an engine of an airplane. It chops, grinds, mixes, whips, blends and even makes soup. It makes eating veggies fun. I heard once that it is so powerful it breaks down the food’s molecules. 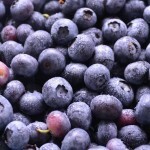 This way the nutrients are more readily available. 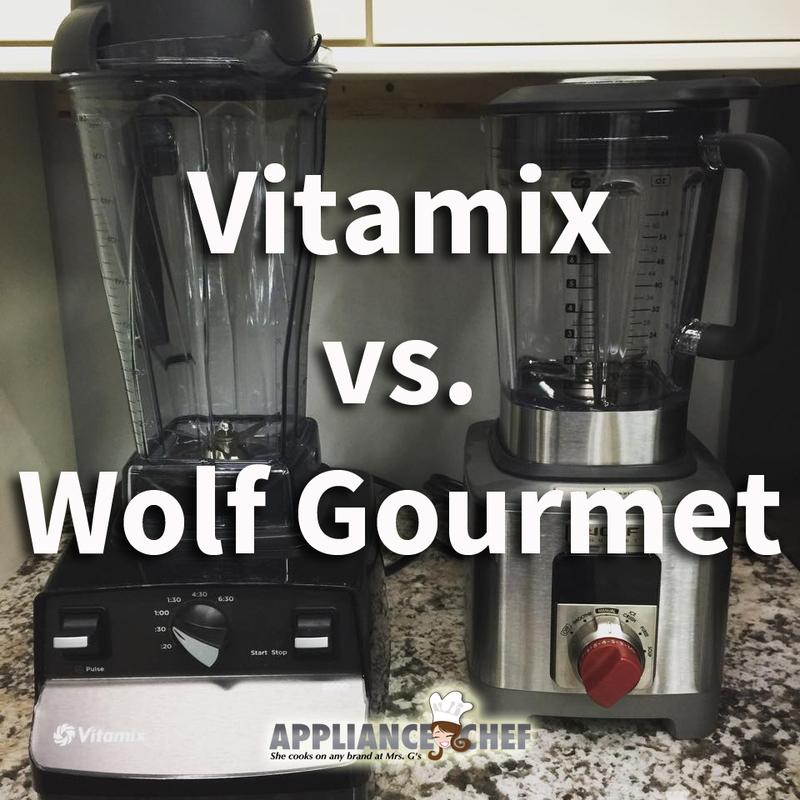 When Wolf introduced the new Wolf Gourmet blender, then, we took it for a test drive. (sorry, couldn’t resist the car reference.) We wanted to see how it compares to Vitamix. The Wolf Gourmet is a looker. Stainless steel and die-cast construction make it look like the high-end appliance that it is and not just a glorified blender. It also a bit shorter than most Vitamix models and fits under the top kitchen cabinets (see photo below). It has an intuitive LCD Control Panel. This panel keeps you informed about details as you blend: blending time, selected speed or program setting. But the coolest difference has nothing to do with horse powers or LCD panels. It has to do with the little thoughtful additions. Wolf Gourmet (which is available here at Mrs. G’s) has a filler cap with measurement marks that is perfect for making cocktails and mixtures. The cap assembly includes an emulsion cup. The emulsion cup allows you to add ingredients slowly into the blender jar. The result is foolproof mayonnaise, dressings, and marinades. This neat addition is also perfect for making the creamiest soups without cream. When you’re adding oil to a blended soup (hot or cold, the blender does it all), don’t add it all at once. Add it in a long thin stream with the motor running. This technique emulsifies to soup and creates creamier texture without the calories. If you don’t have a Wolf Gourmet, add the oil through the cap opening. 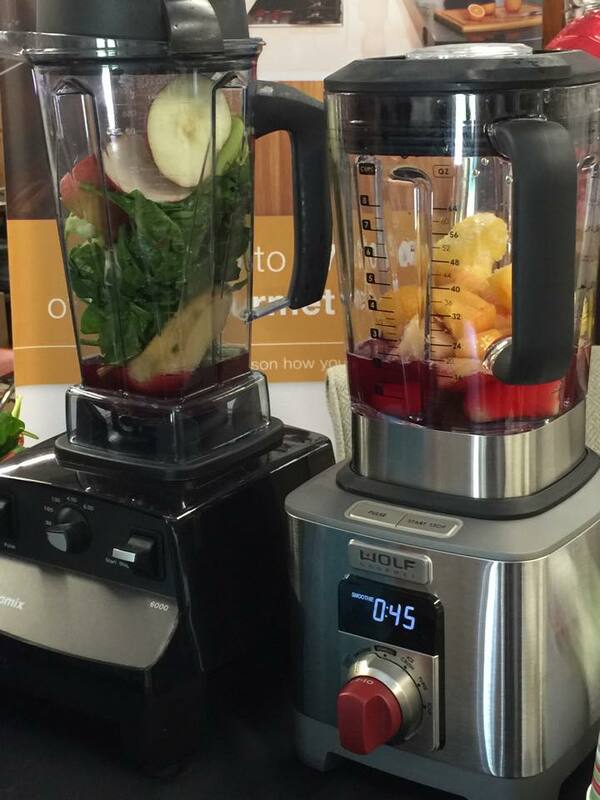 With Wolf Gourmet, just fill up the cap’s cup, set the blender to your desired program, and go about your business. When you come back you’ll find that the blender had made a creamy soup all by itself. You are comparing an older, lower end, lower feature model vitamix to a new model blender that costs more. 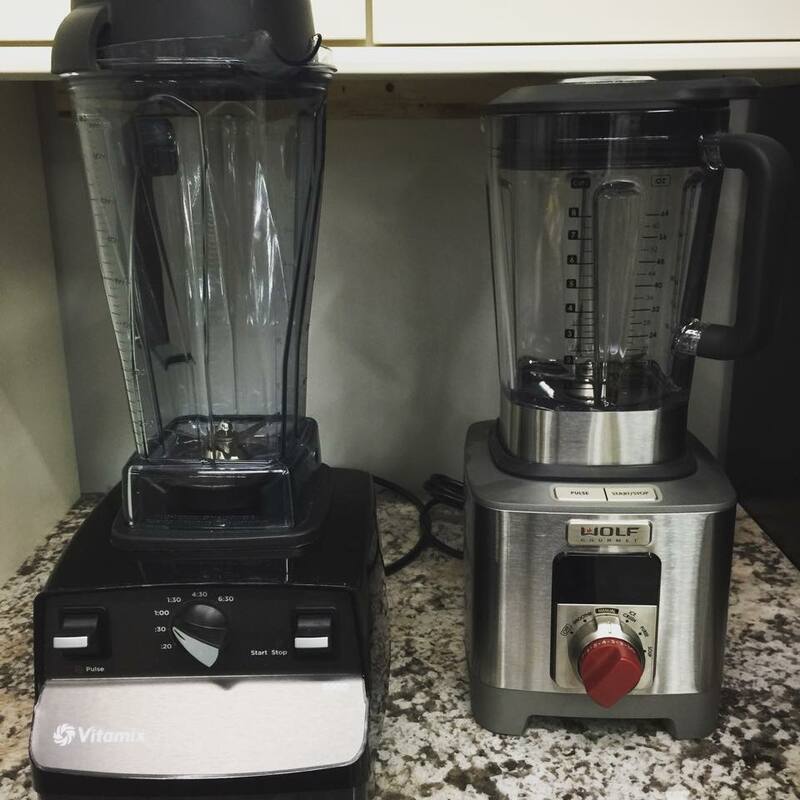 Other Vitamix blenders in the Wolf price range have advantages, not to mention a lot more available accessories, stainless steel and under counter fit. Wolf Subzero certainly makes excellent products. Their blenders and other small appliances are made by Hamilton Beach. In the blender niche it is difficult to beat Vitamix–even older models can take a small NutriBullet style upside down container, and the power is amazing.